Buying a new furnace or air conditioner isn’t like buying a new refrigerator that you bring home and simply plug into the wall. The equipment is only one component of a larger system that’s been designed, fabricated, and installed into your home. Ductwork, registers, grilles, dampers, accessories, and other components are all important parts of the HVAC system, and should be evaluated together. We offer a comprehensive analysis of your entire system. Shouldn’t I just replace my equipment? Millions of frustrated homeowners invest thousands of dollars each year in brand-new equipment, only to discover they still have high utility bills, comfort issues, poor indoor air quality, and even safety concerns with their heating equipment. No contractor can assure you comfort and efficiency by simply replacing your equipment. In order to provide an optimally working system, we will measure, test, adjust, and balance your system. Our technicians are professional, informative, and helpful. These steps and traits set us apart from the rest of the industry. How will Corcoran design my system? Based on our consultation, your system will be designed to address your needs. We will take the necessary measurements – room sizes, building construction, duct sizes and layouts, insulation factors, static pressures, and temperature readings. We will create a digital model of your building to ensure the exact size of equipment needed to condition the space based on your desired comfort level. This model also helps us understand any areas where your system is deficient. We will be able to see airflow and other system factors, which will help us choose the right equipment.We will then provide you with the correct customized solution. What can you expect from a system designed by Corcoran? Using that information we create a computerized model of your building to ensure the exact size of equipment needed to condition the space based on your desired temperature. Once we have a chance to meet we will take all the appropriate measurements – room sizes, building construction, duct sizes and layouts, insulation factors, static pressures and temperature readings where applicable. Based on our consultation meeting your system will be designed to address your main complaints and concerns. This model also helped us to understand which areas of the space may not be performing as desired and how we can improve those areas. It will also give us the exact amount of air needed for not only conditioning, but also if we need to introduce fresh air. In certain cases it also showed us proper water flow and tube layout for radiant heating projects. Once we have taken the appropriate course of action and followed this process we then provide you with a proposal for your customized solution. The one designed to meet your needs, reducing problems and headaches. 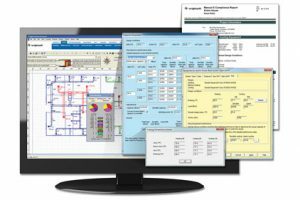 If you are looking to fully understand a complete HVAC design solution for your space than this process is for you. If you are looking for the cheapest bid or just to get new HVAC equipment slapped in, than this is defiantly NOT for you. Ready to join the growing list of happy clients? Simply follow the steps on the right, and we’ll work with you to create a custom air solution. The Investment: Which is then discounted from the total solutions should you choose to make the corrections. Step 1: Emergency or Gathering Information? Is this decision being made because you currently have non functional equipment? Then first start by calling our office at (847) 397-5888. If you are in the process of getting information about replacement or comfort solutions than please proceed to step 2. In this step we ask that you first download or complete the online comfort questionnaire. This step helps us to understand exactly what information you are looking for. It also provides us some brief information about the types of things we will be looking at, and what we should be looking out for during our investigation. We have been told by numerous homeowners and business owners that this step was very important to them. It helped them ask questions and learn more about their own indoor environments. It will help to spark questions you may have not thought of or might forgot to mention. After you have completed step two please call our office and talk to Brenda about setting up a meeting with us. These meetings typically last 1-2 hours. During these meetings we will review your questionnaire to ensure we are both on the same page. We will then begin our initial investigation and readings. In most situation we can sit down and create a customized solution on the spot. If we need further information we will discuss the best course of action together. We will need 1 - 2 hours of your time. If you have any blueprints or drawings please have them available. Please allow for access to all rooms or areas conditioned by the equipment for measurement. Pleas allow access to the equipment and any necessary crawl spaces or attics. Please let us know if we need a ladder or if there are any other special instructions.